Google’s Files Go storage management app is getting updated this week, bringing three new features to all users. The first major change is the expansion of SD card support. 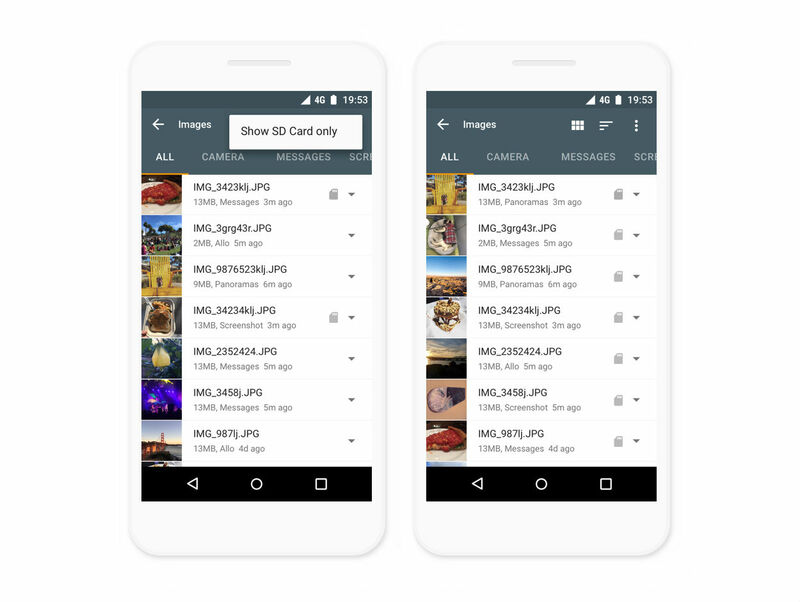 With one tap, users can now view files on their SD card in a list or grid view, leading to easier management of files stored on an SD card. Also, tablets are now supported! The other change is “Opening files in other apps.” Like you’d see on a desktop computer, users can now select an “Open with” option, meaning you can choose which app you would like to open a certain file you have stored on your device. For example, you can open up that important PDF in your favorite PDF viewer, which apparently wasn’t possible before this update.